Blissful relaxation, glorious food and exciting adventures are all part of the wonderful things to do in Bahamas. There’s no need to restrict your ideas about what a trip to this divine part of the world entails – the possibilities are limitless. At Exceptional Villas we have decades of experience creating the most unique holiday adventures for our wonderful clients. Our concierge teams, with a first-hand knowledge of all the diverse and fun things to do in the Bahamas, can match you to the perfect Bahamas villa that becomes the launching pad for your very own Caribbean adventure! 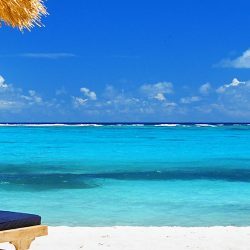 Technically, The Bahamas are in the Atlantic, but it is generally considered a Caribbean destination as it contains all the expected, fabulous elements that one associates with a tropical vacation. Namely, white sandy beaches, balmy temperatures, waving palm trees, tropical vegetation, delicious seafood, a rich culture made up of many races all packaged in a delicious wrapping of fun! So, pack your bags and step aboard a whistle-stop tour through some of the top things to do in the Bahamas. 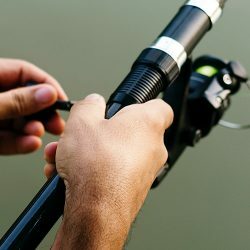 Bring all your preconceived notions with you but do leave room for some unique experiences. Be prepared to be wooed by this gorgeous and friendly corner of the world. 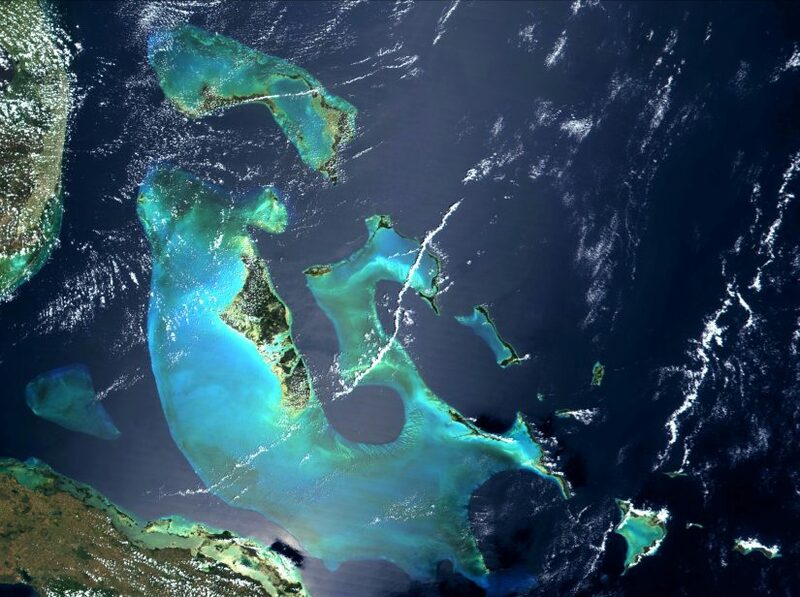 Some information you might find useful is that The Bahamas is made up of 700 islands and 2,400 cays. And in case you didn’t know, a cay is a low-lying island that has developed on top of a coral reef. Only 30 of the larger Bahamian islands are inhabited by humans although many more have incredible wildlife inhabitants (more on this later!). The chain of islands stretches over almost 800 miles. Starting off the coast of Florida and stretching southwards towards Turks and Caicos. With such a geographical and topographical layout, you can imagine there are many things to do in the Bahamas on a cruise or as a resident at one of the amazing villas spread over the islands. The Bahamas is part of the Commonwealth group of countries which means the British monarchy has dominion over the islands. The Bahamas does have its own independent government that steers its own unique course, as well as its own currency – the Bahamian dollar. It is an English-speaking nation making it a really easy place to vacation for US, Canadian or UK visitors. The many centuries of English influence over the islands has ensured some splendid colonial architecture is found in the main towns like Nassau and George Town. The architecture generally across the islands is a palette of divine pastels with pretty painted louvered shutters. The stunning villas in The Abacos, one of the groups of island districts of The Bahamas, are luxurious yet retain a charming colonial cottage feel. You can sit on your own private dock at sunset or potter down to the palm tree fringed beach and relax while deciding what to do in the Bahamas next. It’s as natural and pretty as it sounds. Paradise Island offers visitors villas on a very grand scale with sweeping grounds, floor to ceiling glass doors that open out onto large private terraces that border your own pool. The Exumas – yet another series of islands, can bring you closer to nature again in lovely private villas that overlook the ocean. George Town has some wonderful colonial buildings and it’s a lovely town to visit for exploration and a delicious lunch. Nassau, the capital of The Bahamas, is located on New Providence Island and hosts the main airport of the island chain as well as the Cruise Port. Direct flights to Caribbean islands such as the Bahamas makes travelling easy, especially when flying into the incredible Nassau. This bustling town has world class designer duty free shopping, casinos, restaurants and a vibrant night life. There’s a lot to see and do. At less than an hour by plane from Miami, it’s such an easy hop to get from continental USA into another world. Connecting flights to some of the Out Islands is achieved easily or even a super-fast ferry connection will take you the short distance to splendid serenity on one of the many pretty islands within the chain. If you want the ultimate in privacy and luxury, then Little Whale Cay is an island that is only open to those staying at the gorgeous villas in this 93 acre paradise within the Berry Islands. 15 minutes by plane from Nassau and you will be strolling in bare-footed splendour in your own private Eden. 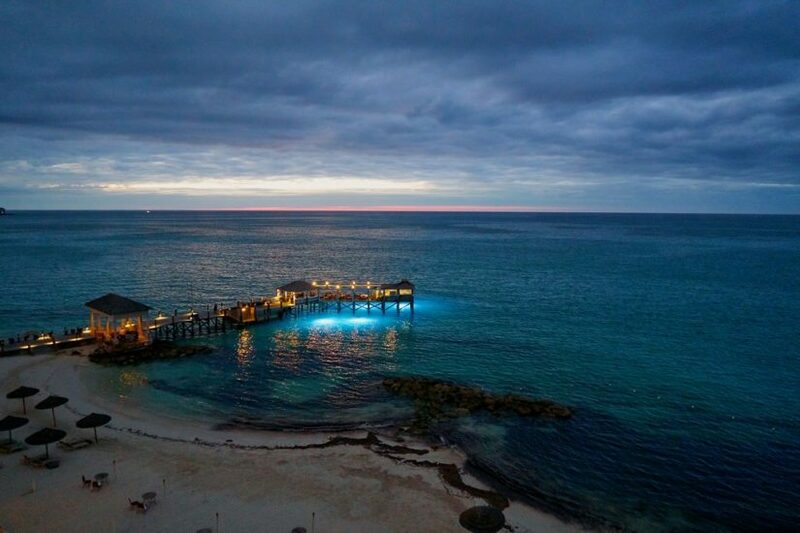 It is undoubtedly one of the top things to do in The Bahamas. Water, water everywhere! 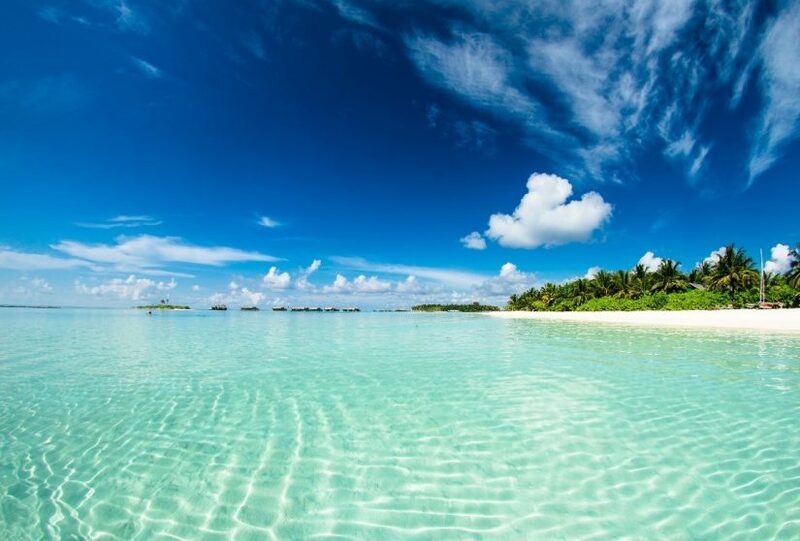 Yes indeed, when you visit The Bahamas you are never very far away from the calm and balmy waters of the ocean. At every turn there is a gorgeous turquoise expanse of water inviting you to jump right in. With such clement weather conditions, it’s no surprise that The Bahamas is a mecca for sailors, divers, casual splashers … there’s no aquatic activity that is beyond your reach within the islands of The Bahamas. 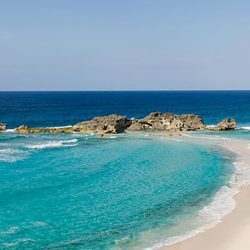 The quality of the white sandy beaches makes it easy to spend a day on or in the water as the Bahamas are listed in the Best Caribbean beaches . The number of islands and cays have evolved over time through the action of the tides to create crescent coves and bays that are pristine and often times empty of other humans. 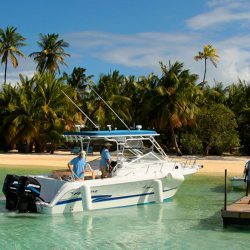 If you have a boat and want to go exploring or allow us to charter a boat and crew for you and your group, there are so many deserted islands and beaches where you can picnic and sunbathe in splendid isolation. A five-star Robinson Crusoe experience! Read more about the best beaches in the Bahamas. You can even experience an underwater plane wreck in these unique Caribbean islands. You can get that Christopher Columbus experience as you wade ashore on some new frontier and set up camp for an afternoon. If you are one of those individuals who feel rapture as you step onto a course, then you are in for a treat. Golf courses on Paradise Island (the Paradise Island Golf Course) and Royal Blue Golf Club Baha Mar in Nassau are developed in probably some of the most scenic locations in the world and top Bahamas attractions. It links courses with jaw-dropping vistas across the sea will offer a lethal distraction to the avid sportsman or woman. 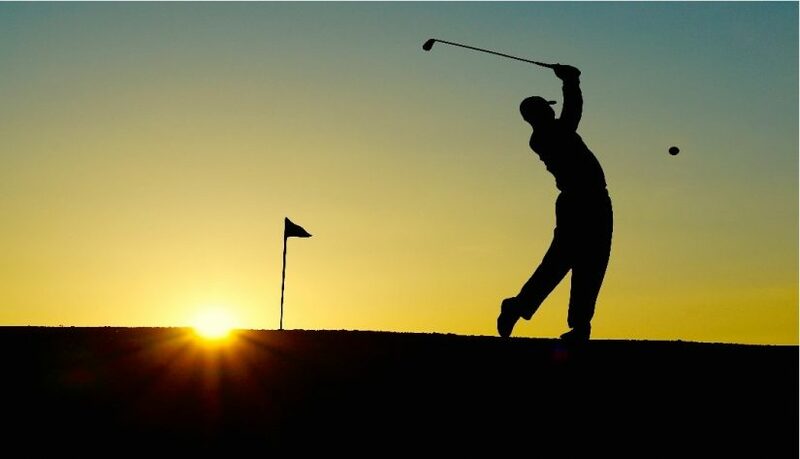 Whether you head out in the early clear air or in the balmy warmth of the afternoon, the quality of golf to be enjoyed in The Bahamas is excellent. The Club House at Royal Blue Club, a Jack Nicklaus Signature Golf Course, is a lovely place to get some useful lessons with the golf pro. If you are thinking of taking up the beautiful game or want to get that kink out of your putting, some useful lessons will transform your golfing career. The incredible layout of The Bahamas, with all of these picturesque islands and cays dotted across the ocean, make it the ideal place to get out on the water and explore. There is a network of brilliant high-speed ferry routes that will take visitors from one inhabited island to another. As well, there are incredible tours that take in some of the most jewel like deserted islands with pristine beaches and lovely walks across unspoiled terrain. For the very best tours and adventures, get a private boat trip around some of these lovely islands within a short sail of your villa base. 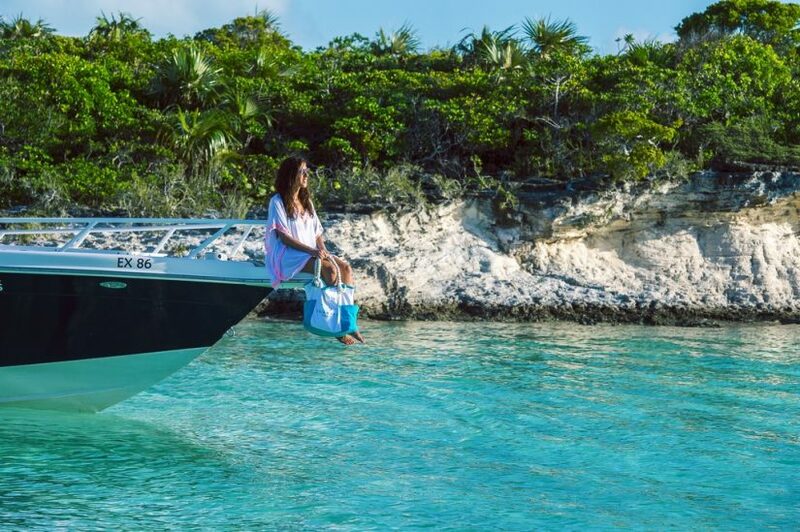 A day touring the island chains of The Exumas or The Abacos is what to do in The Bahamas when you are looking for a day of open horizons. At Exceptional Villas we have all the best names and connections that can take you and your family on a tailor-made excursion around the islands. There are wonderful islands teeming with wildlife that young kids will love to explore. You can enjoy some treks across the rocky coasts, searching in rock pools and whiling away a blissful day. A picnic under some gently waving palm trees, a nap or a snorkel in the calm and temperate waters. A day out exploring the islands is an unforgettable adventure for all the family. One of the most memorable islands to visit are The Exumas who have a very particular interest for visitors to The Bahamas …. If I were to say to you, why not go and swim with fun and friendly mammals who are smart and have brains as big as humans, I’m betting you’d say, “Ah yes, we’re going swimming with dolphins”. Well, you’d be a little wide of the mark. The fun and friendly mammals I’m talking about are pigs! 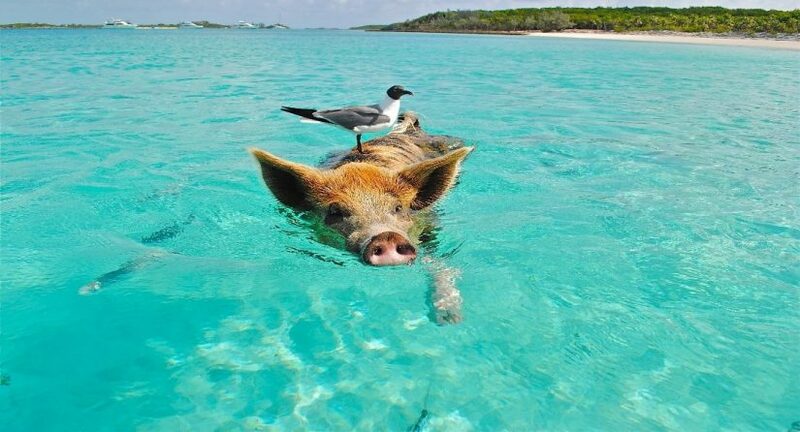 The Exumas have a colony of wild (yet friendly) pigs who live a castaway lifestyle foraging on their deserted island. The story of how these cute creatures washed up on the shores differs depending on who’s telling the tale. But regardless of whether it’s a shaggy dog story or a tale of unshakeable truth, the reality is you will find yourself splashing around in the shallows with the most entertaining water babies you might ever hope to meet. These little exuma pigs have become celebrities and are now the stars of numerous documentaries, the subject matter for the celebrated book Pigs of Paradise by T R Todd. A day hogging the waves is regarded as one of the very best things to do in The Bahamas. With 340 days of sun each year it’s no surprise to find that the lure of beach life is at the forefront of most tourist’s itineraries to The Bahamas. 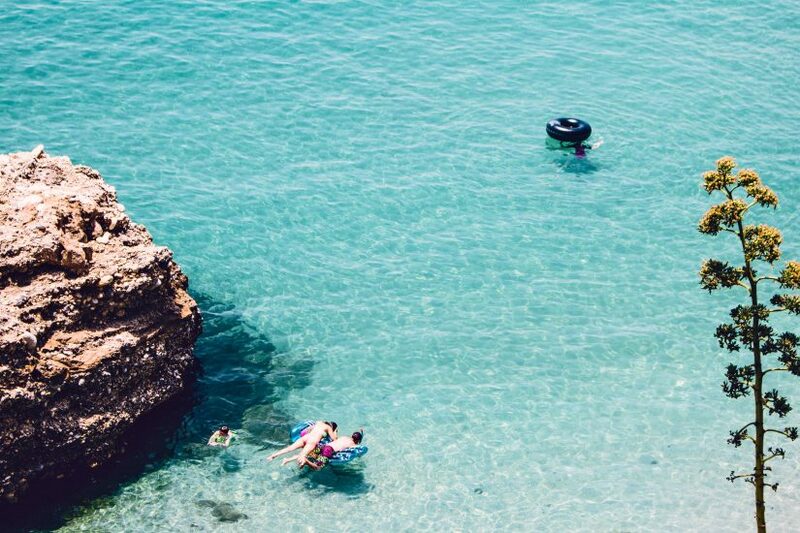 Added to the fabulous weather, the very shallow shoreline makes swimming, paddle-boarding, snorkelling and surfing a safe and pleasant experience. Parents of little children can enjoy a bit of beachside pampering keeping a casual eye on their little ones knowing the waters are particularly safe for their tots. 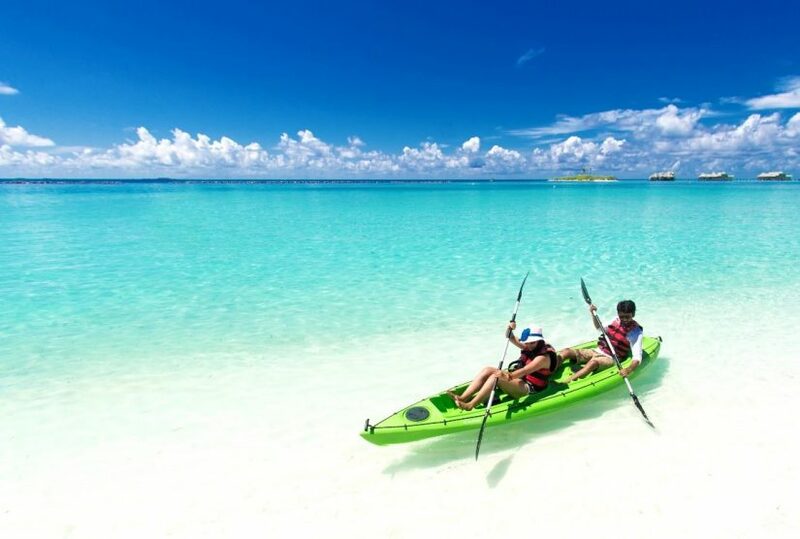 All the Out Islands as well as Nassau and Grand Bahamas offer water-sport facilities for visitors. Whether you want to teach your young kids the fundamentals of snorkelling or improve your balancing acts on paddle-boards, there’s limitless fun for all the family. For the more intrepid, Nassau, Andros and Bimini offer kite-boarding lessons and facilities for beginner, intermediate and advanced adrenalin junkies. At Exceptional Villas we will be happy to set you up with some lessons, it’s all part of our service. Nassau is a treasure trove of historical buildings that tell the story of The Bahamas’s past. The largest of the three forts, Fort Charlotte, has a bird’s eye view over Nassau Harbour and you can re-imagine the ramparts being armed and ready to defend the port from invaders. There is a waterless moat that is clearly seen from this wonderful vantage point too. A walk down the 65 limestone steps of The Queen’s Staircase is a reminder of another chapter in The Bahamas history. These steps were built by slaves in the 18th Century. The Government buildings are one of the Bahamas points of interest and a fine example of colonial architecture and look as fresh today as when they were built by the British rulers all those years ago. 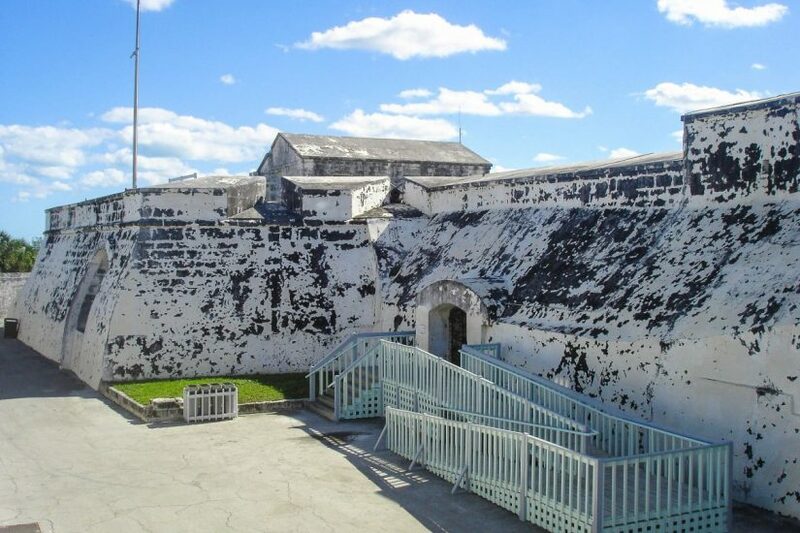 Walking through this historic Bahamas Fort is one of the best things to do in The Bahamas, Nassau. It’s no surprise that The Bahamas has been a beloved destination for travellers from both Europe, USA, Canada and beyond. It is a very civilised and attractive nation that has retained the old-world charm of its colonial past while also embracing a very modern vibe. Getting to the Bahamas is generally uncomplicated. The size and location of some of the islands of The Bahamas have a lovely remote feeling to them yet you are only a very short hop from continental USA. That beachcomber feeling you want to capture is waiting on some of the islands of The Exumas or The Abacos. Drifting along the turquoise shorelines with your family, barefoot and relaxed, collecting shells with just the sound of the ocean or the chirping birds in the waving trees. Life really doesn’t get much better than this. It is truly a world away from your life back home. At Exceptional Villas we understand what our clients want when they travel. Beautiful accommodations that offer high end luxury, a perfectly united inside/outside space, cool, quiet sleeping spaces. All the creature-comforts of home but in a setting like no other. They say if you visit The Bahamas you will return again and again. Where else will you find a different island waiting to be explored? It’s the destination that’s never boring. Maybe it’s time to come ashore!